The European Parliament has voted with a large majority in favour of introducing shock images on cigarette packets. From 2016, the EU’s revised Tobacco Products Directive will come into force. Sixty-five per cent of the front and back of cigarette packets are to be covered in shock images of body parts affected by smoking. In comparison, the written health warnings currently visible on cigarette packets cover 30% on the front and 40% on the back. Not falling under the directive are cigars, cigarillos and pipe tobacco. For some products, the EU views discouraging warnings as insufficient. Menthol cigarettes and cigarettes with vanilla or chocolate flavouring are to be pulled from the market. 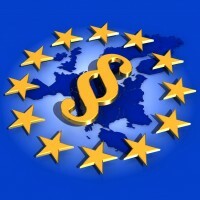 It is thought the directive will enter into effect at the end of March 2013. The member states will then have two years in which to implement the directive. The tobacco industry will have three years in order to modify cigarette packets to ensure they comply with the new rules.